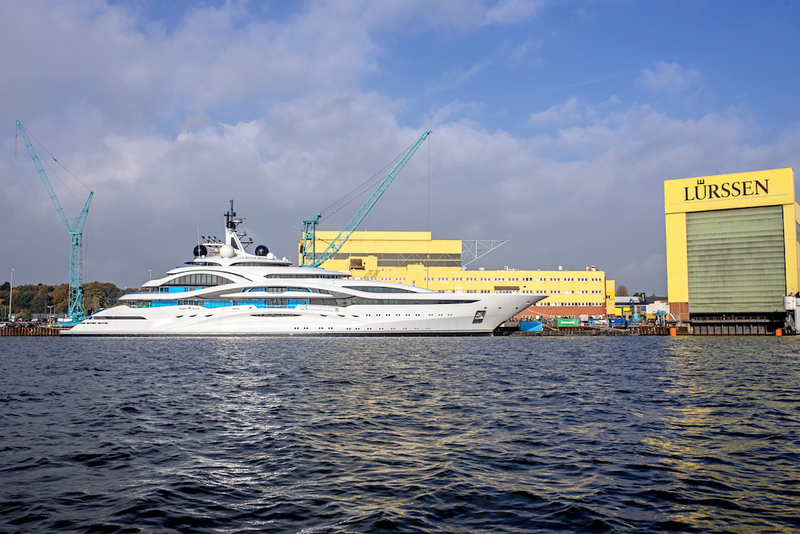 On 27th October 2016 Lürssen launched 123m Project Jupiter, a very unique design incorporating many striking features. With exterior design by H2 Yacht Design and interiors by March & White the yacht is scheduled for delivery in spring 2017. For both design teams this is their first Lürssen yacht, and the collaboration between all parties, including Winterbothams technical services and Y.CO Management team, has worked extremely well. March & White have designed a contemporary interior throughout the vessel defined by timeless styling, nautical details and highly innovative bespoke finishes. 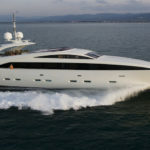 Despite her size, her styling radiates a very sporty and aggressive look with balanced proportions, similar to the owner’s first yacht, and will stun the Hollywood crowd. Her arching design features and large glass facades provide panoramic views from her eclectic interior. The combination of these influential design statements make her instantly recognizable as a truly distinctive and innovative superyacht.